M-War Monkey Craw Kiwi, 8 pcs! Fishdeal.co.ukM-War Monkey Craw Kiwi, 8 pcs! Ca be fished on a normal jighead or on a Texas or Carolina rig! The Monkey Craw from M-War is a realistic imitation of a crayfish and was specifically designed for big perch and zander fishing! 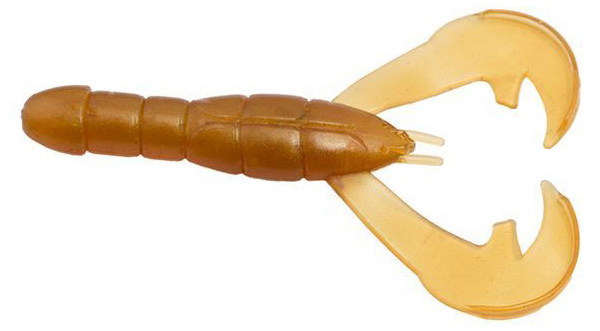 On certain days, a crayfish imitation can be much more effective than a normal soft baits. Predators love this crayfish! The claws of the Monkey Craw create lots of vibration and movement underwater. The perfect imitation of a fleeing crayfish or a crayfish in fight mode! The Monkey Craw can be fished on a normal jighead (size 4/0 or 5/0) or on a Texas or Carolina rig. Whichever rigging method you choose, be ready to set the hook!